This week has been a very long week, and the fact it's the weekend makes me smile more than it should. I have never really worked this hard in the week before, something which is so full on at least, and in the exhausting heat as well - everything is quite effort full. Our host mum went away for a few days this week, leaving us to run her lessons alone which has been tough. I don't like to wish precious time away but I have found myself doing this on occasion. However, today has already made up for it. 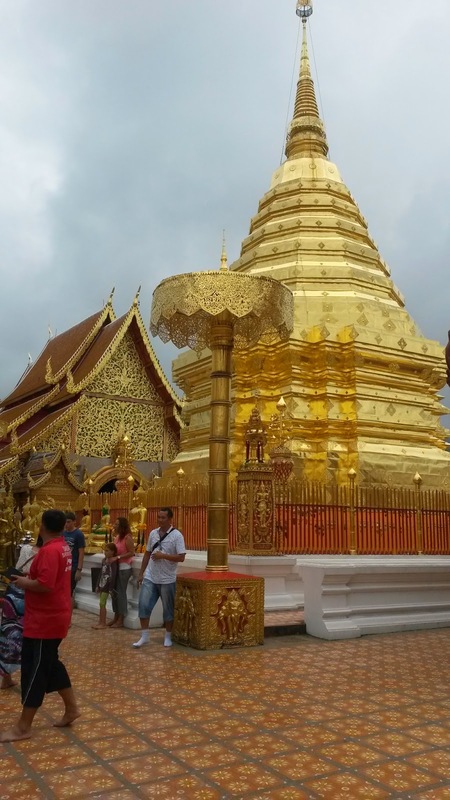 We have been to Tiger Kingdom and the highest temple in Chiang Mai - Doi Suphet - which was rather stunning. 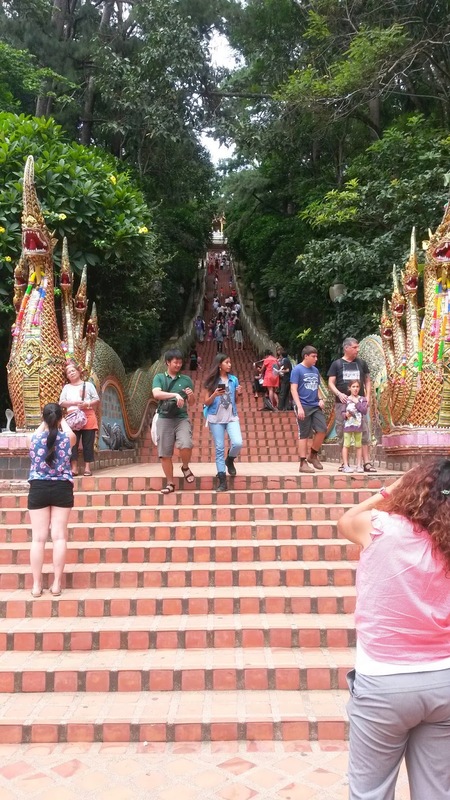 The amount of stairs we had to walk was a tad ridiculous nut it was definitely worth seeing both the temple and view in all it's glory. As I am reaching the half way point, I can't help but reflect on my life. I have worried about what I'm doing and eating whilst I've been here, too much or too little? The reality is though that even if I am anxious, I AM doing it. I am beginning to realise that I don't have to be stuck in a rigid routine or eat a certain amount because if I listen to my body then it will treat me well. I just hope I am strong enough to take this way of thinking and living, back to the UK with me in three weeks time.